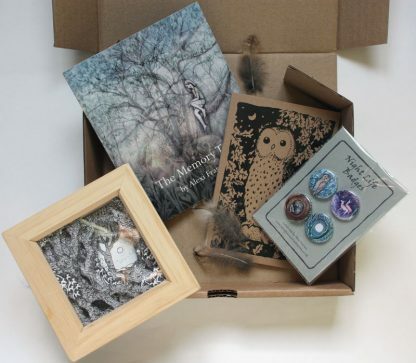 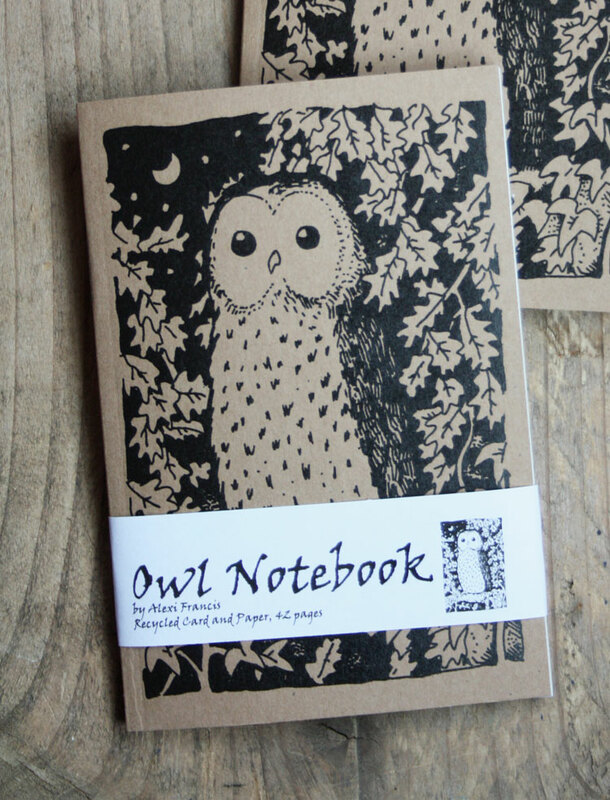 A collection of woodland gifts in a kraft A5 box. 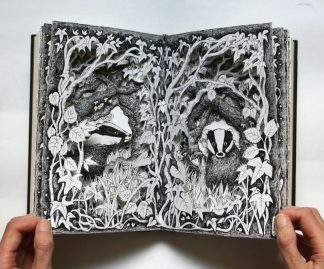 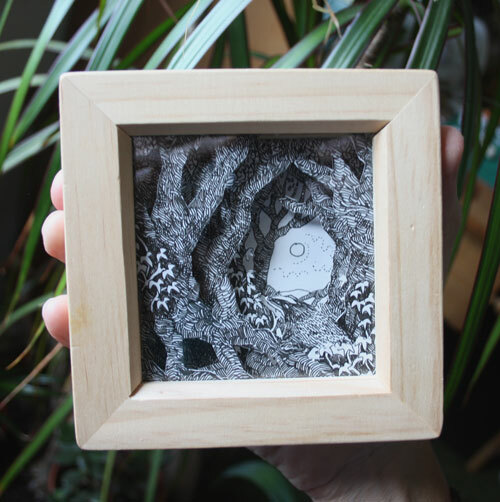 A mini box frame (11cm x 11cm) with an original woodland papercut illustration. 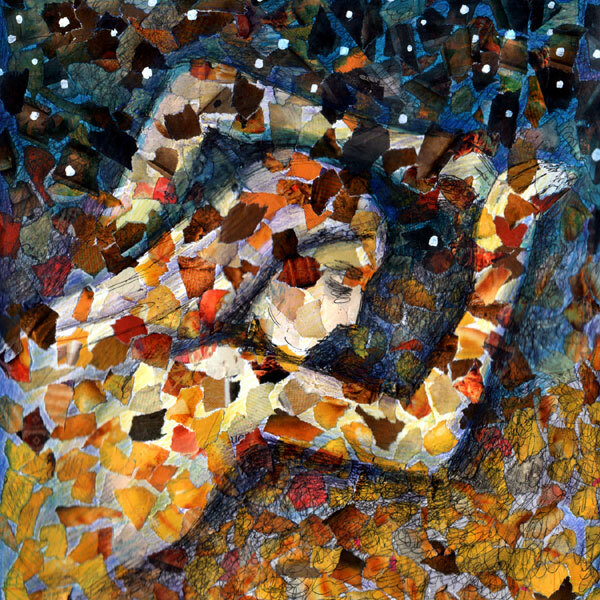 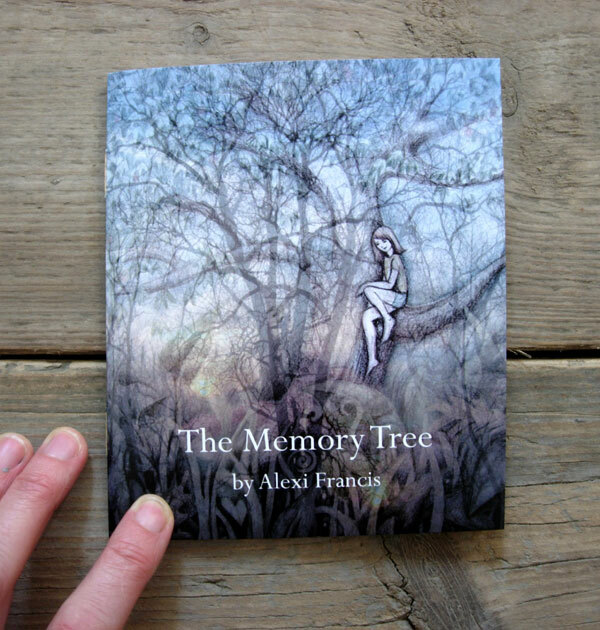 A The Memory Tree book. 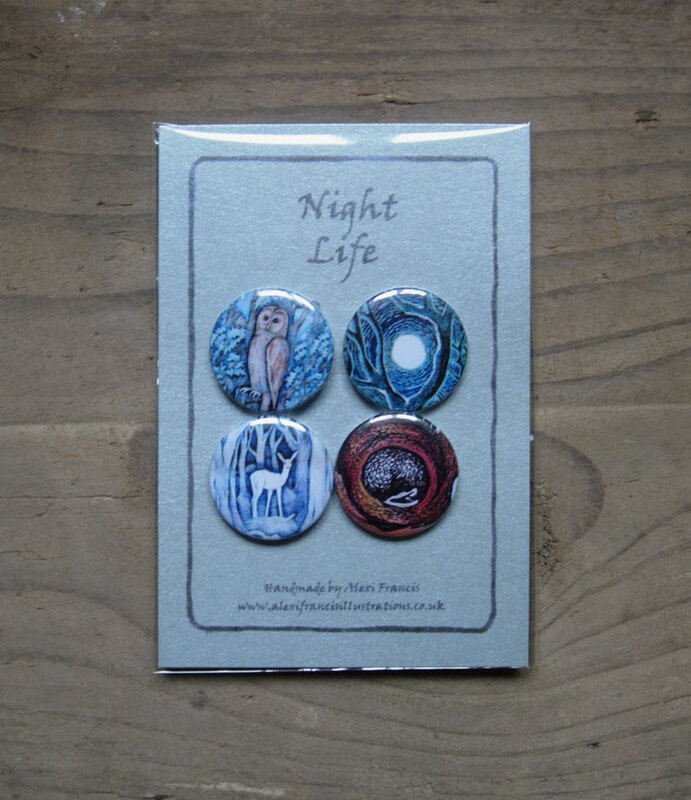 A set of Night Life animal badges. 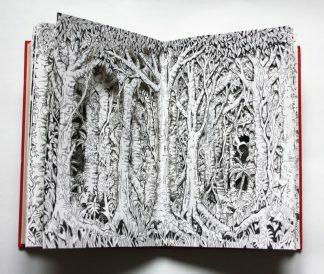 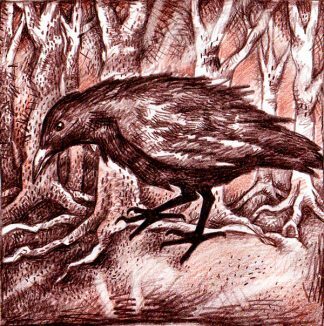 A Sleeping in the Forest greetings card. 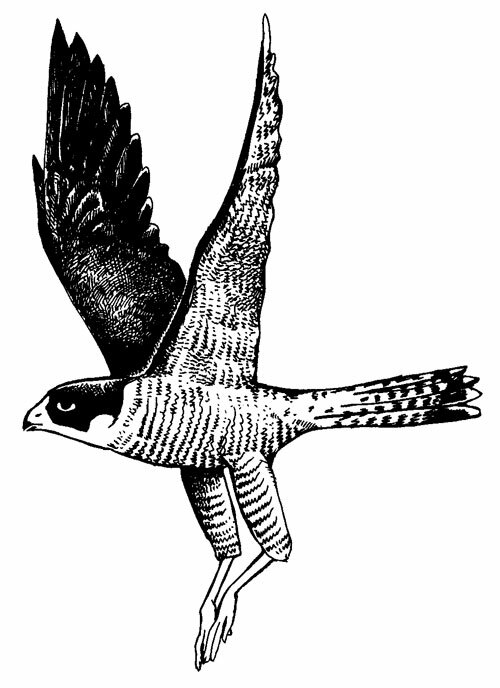 …and a feather or two I’ve collected from the forest.